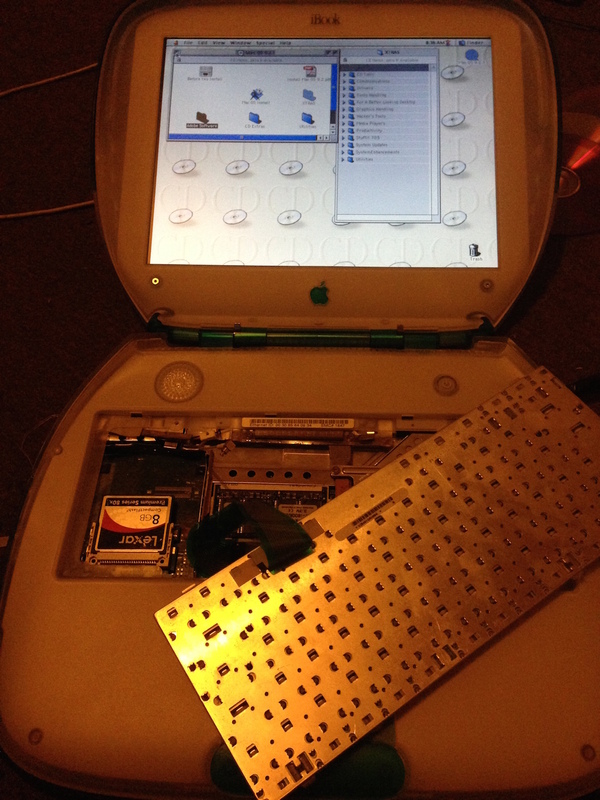 Changing the hard drive in a Clamshell iBook G3 requires a complete strip down. I look at modding it to make it easier. I have taken apart, repaired, and upgraded many Macs in my time, but taking apart a Clamshell iBook looked like one of the most difficult. I recently picked up a first gen Blueberry model that had a broken hard drive and a dodgy CD-ROM drive. 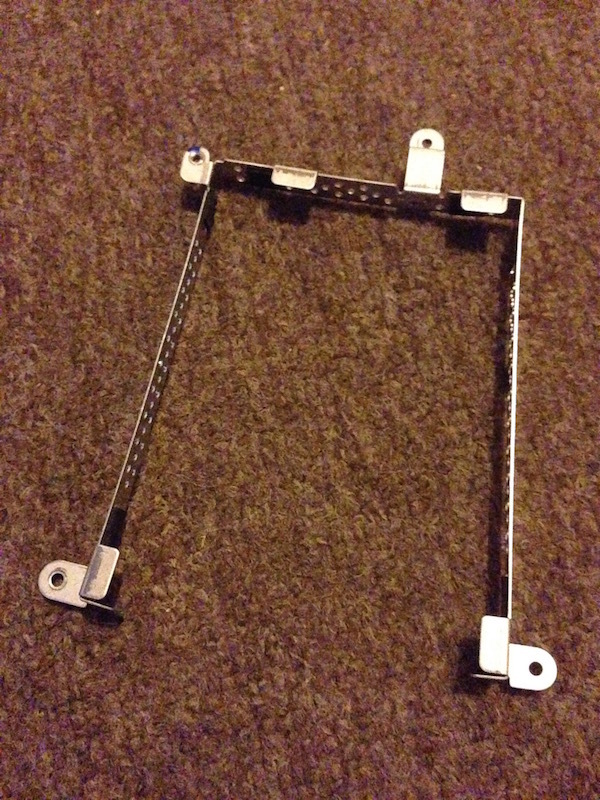 Using the brilliant teardown guide from iFixit, I set about dismantling it. 30 minutes later, I was staring at my Clamshell in pieces. I didn’t want to go through this every time I wanted to change the drives. 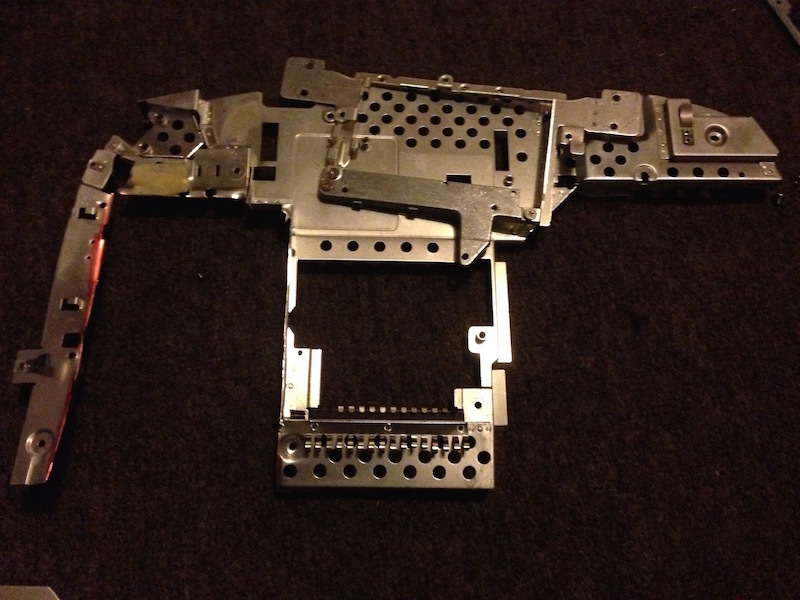 Getting to the optical drive isn’t too big a job, but changing the hard drive is. When you flip the keyboard back, you can see the hard drive through the EFI shield. This got me thinking: Perhaps I could cut the EFI shield to allow easier access to the hard drive for future drive swaps. To do this, I would need to strip down the machine so I could take the EFI shield and hard drive bracket out and mod them. The hard drive bracket has tabs on the top holding the drive in place. 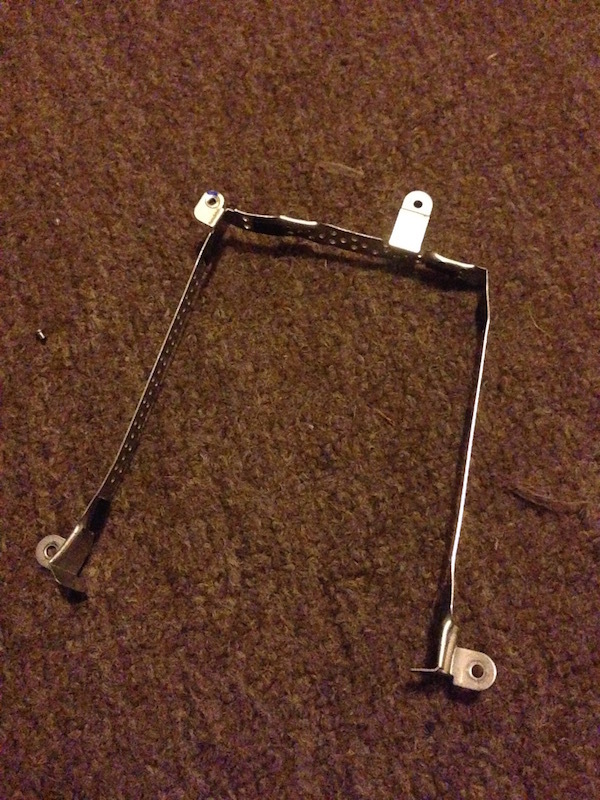 I simply bent these back, allowing a drive to slip in and out of the bracket. Be careful, the bracket is quite fragile, and the tabs are quite tough. Try not to bend the bracket too much. 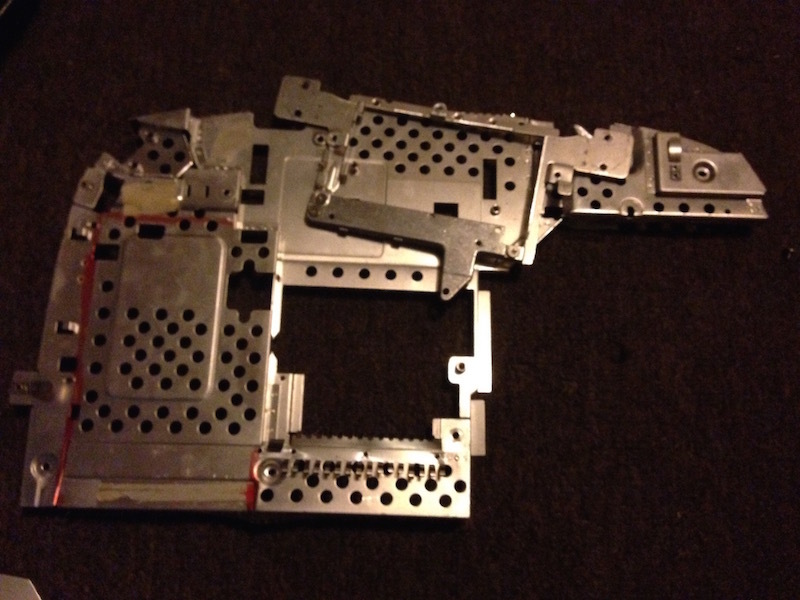 With the EFI shield, I cut a rectangular shape just the size of the hard drive out of it. This is easy to do with a sharp pair of scissors, as the shield is made of thin metal. Once done, I put the iBook back together and now have access to the hard drive whenever I want without having to take it completely apart. 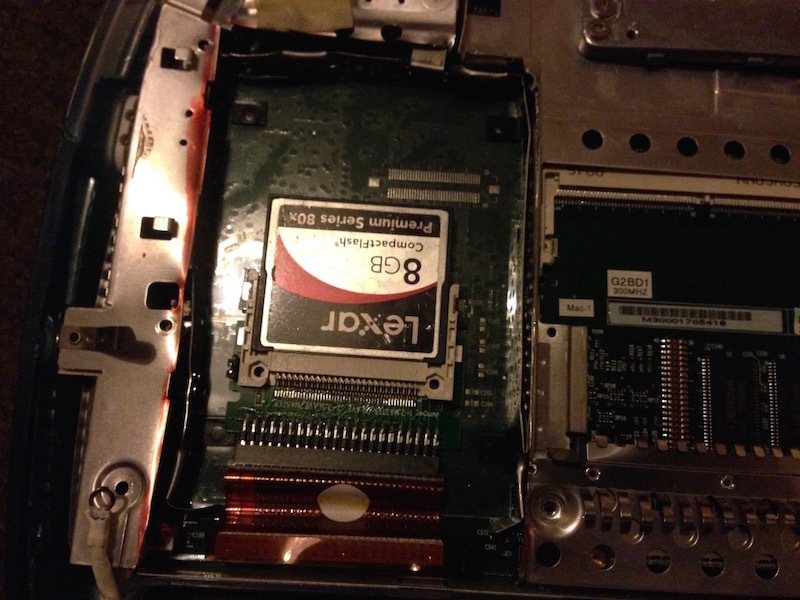 I fitted a CompactFlash card along with an IDE-to-CF adapter, so it makes it even easier to swap drives. Even with everything put back together, it is easy to access the drive bay. If you find it difficult to position a regular hard drive when the machine is together – as the top casing sits over the IDE connector – you can take the top casing off easily, which only requires undoing a few screws and disconnecting the audio cable. 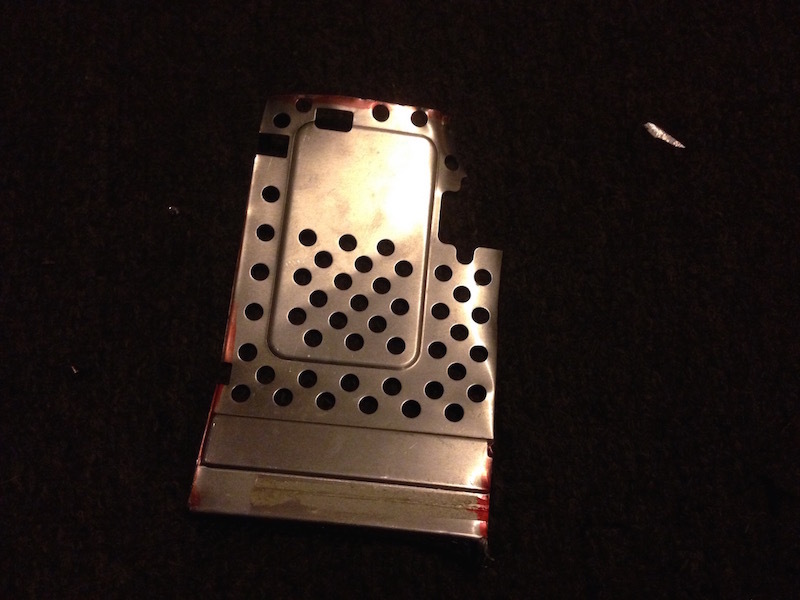 I take no responsibility for any damage to your iBook either completing the mod or whilst using it afterwards. Some have said removing part of the EMI shield can lead to extra heat inside the machine, as the shield is used to dissipate heat. I think this would only happen if you removed it altogether. Now you can swap hard drives very easily. Have fun.